It has taken us a bit of time to understand the true meaning of the recent announcements from Ofcom and BT on the future of the ADSL equipment that supports broadband for our community from the Goudhurst, Flimwell, Lamberhurst and Cranbrook exchanges. What is now clear is that Ofcom’s announcement to force 12% year-on-year wholesale price reductions for ADSL services is for the older DSL equipment (such as we have in Goudhurst, Flimwell, Lamberhurst and Cranbrook) which provides broadband speeds “up to” 8Mbps. Ofcom’s rationale is that BT has now recovered its investment in this type of technology. The price reduction (or what Ofcom calls a “remedy”) is NOT applicable to the more advanced ADSL2+ technology (which provides broadband speeds “up to” 20Mbps). Not surprising, then, that BT announced a few days later that it intends to upgrade 90% of the Market 1 area exchanges (like ours) to ADSL2+ so that it can keep its current wholesale prices on the upgraded service. There is a good analysis on what this means for the country at Trefor.Net. So if BT includes the Goudhurst, Lamberhurst and Kilndown exchanges in their plans, it would give residents and businesses in the centre of Goudhurst “up to” 20Mbps – and for those “up to” 2km from the exchange in the village “up to” about 16Mbps. It would appear that BT’s implementation timescales are between now and Spring 2013. BT’s plans have been known to slip in the past – but we are hopeful that plans for Kent and Sussex will be announced in more detail soon so we can be clearer on when they might actually flow-through to the better and faster ADSL2+ broadband for the Parish. In terms of price reductions, we might well NOT see any reduction in broadband prices if BT gets a move on and upgrades our exchanges quickly – but we should see an substantial increase in the overall speed for those who live closer to the exchange. Overall, then, these two pieces of news appear, on face value, to be really good news for our Golden Thread project (so long as we are in the 90% of exchanges covered) – and they certainly will have an effect on our strategy. 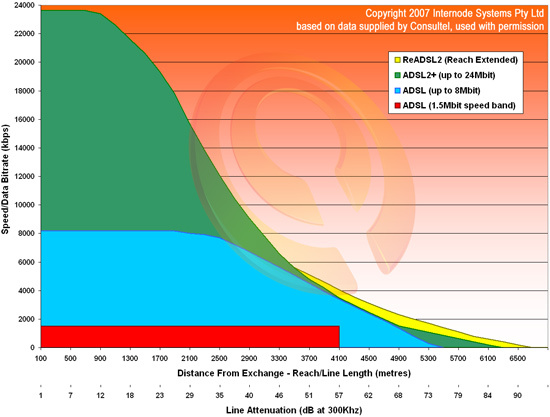 Depending on BT’s timescales for rollout, it now seems “up to” us to focus more on how we can effect an upgrade to the service that is provided to those who are more than 2km or so from the exchanges – as well as concentrate on some of the other “filaments” in our Golden Thread project such as encouraging businesses into the Parish and bridging the so-called digital-divide. In addition, we intend to look to the future (beyond ADSL2+) and conduct a feasibility study on the demand and supply for an ultrafast broadband service (from 100Mbps to 1Gbps) in the medium term. Through June July and early August we have had a number of meetings with potential suppliers who can help the project’s plans and we are now organisating a number of roadshows in September/October to let the community understand where our thinking is and to attract new ideas and comments on our plans. I hope this gets introduced soon. I live up in Kilndown and we’re currently getting 300kbps, it’s terrible! Good article Lorne. It is important for communities to understand the commercial motivation for BT to make these upgrades. It isn’t “effort free”, as it has taken Ofcom years to regulate this and shunt the process forward. The rural divide will remain, due to this self same commercial model, and we can’t blame BT for behaving the way they do. It is inevitable.